One “SEO tool” or technique that can help all business owners is the use of directory submissions. One of the primary factors in most first-tier search engines’ algorithm is external links. You want links from other sites. Preferably one-way links, but reciprocal links have value also. There are many web-directories on the internet- both broad and specific. In fact, before Yahoo was a search engine, it was (and is) a web directory. A web directory works on a business model similar to the Yellow Pages. You submit information to the directory, the directory hosts ads, advertisers pay money to the webmasters. Some more “enterprising” webmasters have come up with a different business model to support their web directory. Everyone values incoming links to their site because of the SEO value. What would you pay to get a link to your site from the Google homepage? 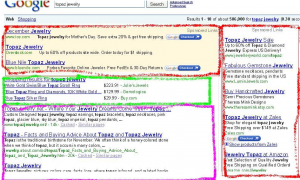 Obviously Google does not sell links, but you can imagine the value to your company. A small web directory can provide a similar value on a much smaller scale. This practice of buying links is against Google’s terms of service and can get your site removed from the SERPS altogether. Of course, it is not against Google’s policy to buy advertising on a site as long as you state that you are an advertiser. You can also buy “memberships” in organizations and “receive” links. The practice is not as black and white as it appears. However, if your business is flagged by Google, and removed from the search engines, the results will be very black and white. It is best to err on the side of caution with your business.